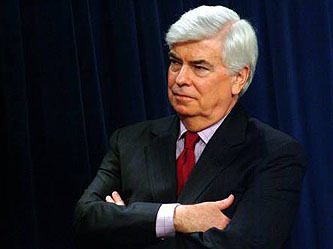 I haven’t written too much yet about Chris Dodd’s financial reform bill. There are two reasons for this. First, healthcare has been front and center for the past week and I just didn’t want to spare the time to really dig into it. Second, based on what I read, I was pretty depressed about the whole thing. But healthcare is (pretty much) a done deal now, so what about financial reform? Is Dodd’s bill as bad as I thought? My tentative answer is yes even though it has some good things in it: a Consumer Financial Protection Bureau that has a reasonable amount of power and independence; regulation of derivatives; resolution authority for large banks; and streamlined bank supervision. None of these are as strong as they should be, but they’re better than nothing. Regulates Nonbank Financial Companies: Authorized to require, with a 2/3 vote, nonbank financial companies that would pose a risk to the financial stability of the US if they failed be regulated by the Federal Reserve. With this provision the next AIG would be regulated by the Federal Reserve. Unless I’m badly mistaken — which is always a possibility — this is nearly meaningless. We get a new board that will “identify and respond” to systemic risk. They will “make recommendations” for higher capital requirements for big banks. And nonbank companies are left completely out of the picture unless two-thirds (!) of the board votes to put them under Fed regulation — which wouldn’t necessarily lead to more stringent capital and leverage requirements anyway. This is, I guess, not completely worthless. But it sure sounds pretty close. So here’s a bleg for all the dedicated financial bloggers out there: am I wrong? Do these provisions have more teeth than I think? Or is leverage, for all intents and purposes, pretty much brushed under the carpet in Dodd’s bill?